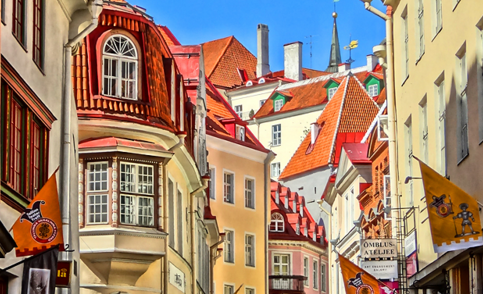 Tallinn Old Town is a fascinating blend of history and modernity where Gothic architecture meets the internet café. A UNESCO World Heritage site, the Old Town was built up between the 13th and 16th centuries and is the city’s biggest tourist attraction. Old Town Tallinn is a mixture of courtyards, grand churches and gabled houses enclosed in city walls. For those who want to experience dramatic history coupled with the advantages of the modern world (Wi-Fi internet access for example), Tallinn’s Old Town is worth exploring. Hop On Hop Off – CITY TOUR MAKES TALLINN UNIQUE! City Tour is the best way to see the things that make the old and dignified city of Tallinn unique. Their red double-decker buses offer you great views and all year round they take you to places you otherwise probably wouldn’t visit. Their audio guide is available in ten languages and recounts stories that will be interesting and surprising to both locals and visitors. However, the best thing about the City Tour is that you can hop on and off whenever you want to, because your ticket is valid on all lines for at least 24 hours. Tallinn City Tour now offers 3 routes as the best way to experience the unique and romantic history of Tallinn: Red Line – Town Centre, Blue Line – Rocca al Mare, Green Line – Pirita. Estonia’s highest building at 314 meters – had its grand opening on July 11, 1980.Tallinn TV Tower was built for Olympic Games held in Moscow in 1980, when Tallinn had the honor to host the Olympic regatta. The viewing platform at a height of 170 meters was open to public until November 26, 2007, when it was closed as it no longer conformed to fire safety requirements. After a complete makeover, the tower was reopened in spring 2012. Tallinn TV Tower was one of the most important symbols of Estonia’s restoration of independence as it was the site of a series of groundbreaking events that led to the declaration of Estonia’s state sovereignty on August 20, 1991. The view from Tallinn TV Tower is unique in Estonia as well as in all of Northern Europe. To illustrate the view, visitors can use multimedia screens: to increase the area visible in it or seeing what the place looked like in the past. It is a view that must be seen and experienced! Kadriorg is one of the more dignified areas even today, and one of the best loved residential regions of Tallinn. The Estonian president’s residence and many foreign embassies are located here. The park is one of the favourite spots for walking of Tallinners young and old. But Kadriorg is famed mostly for its baroque palace and park ensemble, begun in 1718 as the summer palace for the family of Russian tsar Peter I. In February 2006 the Estonian Art Museum opened in Kadriorg. Kumu is the first purpose-built museum in Estonia – KUMU – where both classical and contemporary Estonian art are displayed and exhibitions on international contemporary art are held. Viru Keskus is a centre with the greatest visitor numbers in Estonia, it is one of the most important meeting places in Tallinn providing entertainment and recreation possibilities. It is one of the most popular centres that has been truly embraced by the people of the city. It is a paradise for shoppers, a place for handling daily tasks, meeting people and having fun. The Estonian Open Air Museum is akin to a village, with 12 farms, as well as its own church, tavern and schoolhouse. There are a number of mills, a fire station, fishing net sheds as well as a dancing area and a village swing. The museum is located in a lovely, well-maintained forest park on a high sandstone bank on Kopli Bay, just 15 minutes drive from the center of Tallinn. Take City Tour Bus to the gate.